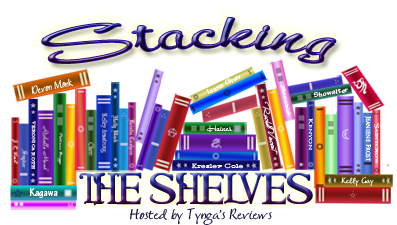 Stacking the Shelves is a weekly meme hosted by Tynga’s Reviews where we show off all the goodies we received throughout the week! A Ph.D student at Cambridge goes through the Worst Event of Her Life and winds up at 11 Hope Street. An older woman invites her inside and allows Alba only 99 nights to get her life back on track. Alba discovers past residents include Virginia Woolf, Dorothy Parker, and Agatha Christie. Magical Realism, GLBT, whimsy. I’m really looking forward to this one! A contemporary narrated by the wife and the mistress. There’s something I find strangely appealing about the idea of looking in on the lives of these two women. I had received an ARC a while back and now have a shiny finished hardback! This novel is a re-imagining of The Strange Case of Dr. Jekyll and Mr. Hyde, only this time, Hyde is the hero of the story. Hyde releases in a few weeks – be on the lookout for my upcoming review! The day she was trying on a gorgeous wedding dress, Abby was dumped by Ben in the worst way possible – he changed his facebook status to single. Six months later, Abby’s best friend Grace plans a summer vacation for the two of them in an attempt to get Abby’s mind off Ben. This one sounds like a fun, quick read and there’s a LOT of social media talk in its pages. Another novel I had originally received as an ARC. This one comes out later this month as well – keep your eyes peeled! An imagining of the lost history of and inspiration for Goodnight Moon! I have two Jojo novels under my belt now and cannot wait to dive into this one! A retelling of Alice in Wonderland? I’m game! I’ve heard good things about this one! Another novel I’ve heard fabulous things about. I managed to snag a copy at work for 50 cents. I’m a huge fan of this series! Unfortunately, I’ve only read e-copies and copies borrowed from work. Not only do I want my own set of this series, but I’m also concocting a plan to force these books upon my sisters. I’ve successfully managed to woo my youngest sister with Trish Doller and Tiffany Schmidt, now it’s time for some Brigid Kemmerer in her life. Another series I love and now desperately need to own. I love a good non-fic every once in a while. This one sounds incredibly interesting – the medical lives of famous writers – and it also seems like a book where I can jump around a lot. Have you read any of these? Curious about some of them?? What did YOU get this week? In an attempt to turn that negative review into something positive – and because I LOVE me some art novels – I compiled a huge list of books both on this blog and ones I have yet to read: My Love Affair with the Art Novel. I haven’t read any of these but happy reading! WOW, awesome stack this week! I want to read Hyde! I hope you enjoy them all! Wow, great haul! Happy reading! Nice haul. I’ve been meaning to read Fixing Delilah for a while now too because of all the amazing things I have heard. I hope you enjoy all of your books :) My STS.